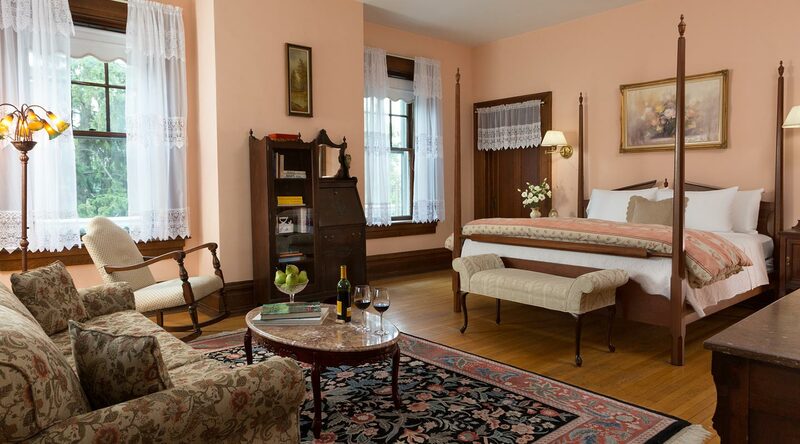 Wonderful and memorable getaways in Pennsylvania await at our top rated Mercersburg, PA boutique hotel. 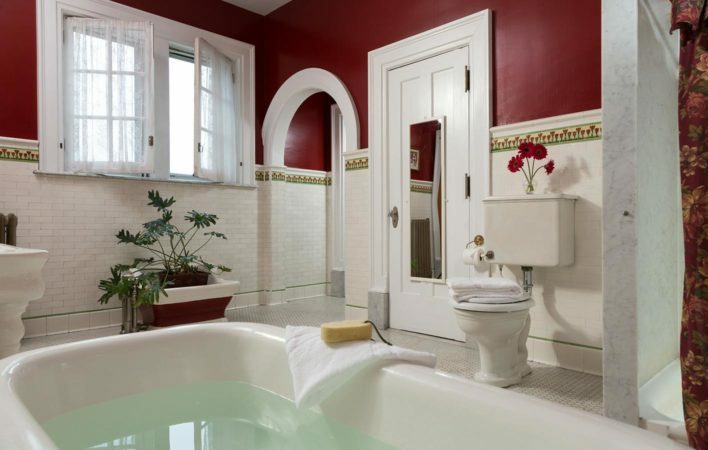 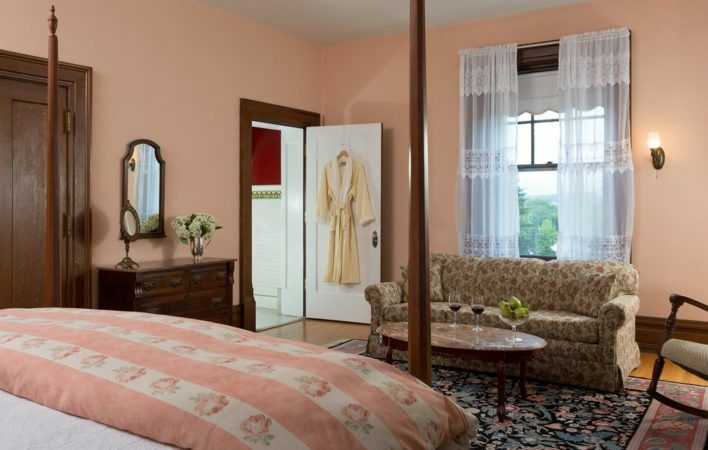 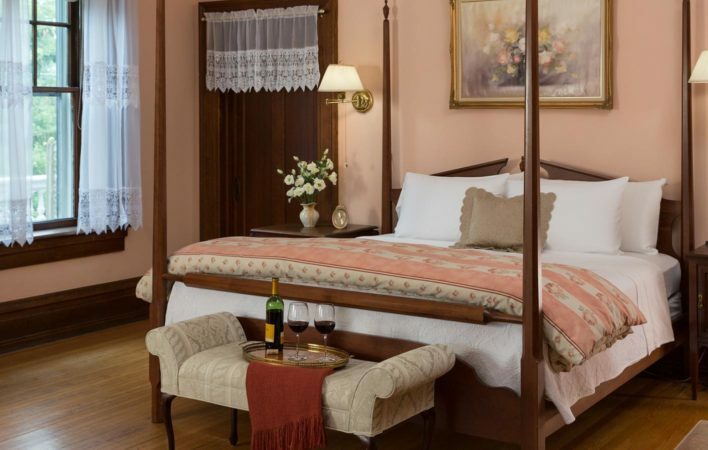 The former sanctuary of the mistress of the house, this pleasant room presents a king bed, queen-size sofa bed, and a huge bath with an old-fashioned soaking tub and separate marble shower. 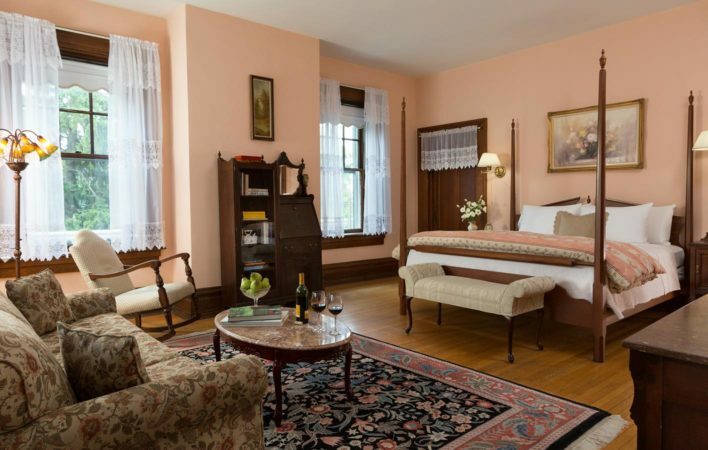 Large corner windows let in the light and offer beautiful views of the countryside.